There are so many fun things to do over the holidays it’s hard to pick just one as a favorite. Going shopping for Christmas tree and decorating it with your family is always a fun tradition. 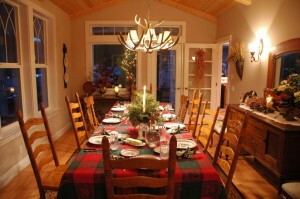 So are all the special holiday gatherings with friends and family. Even the office Christmas party is something to look forward to each year. It’s going to get busy in the coming weeks and that’s why you want to take care of is much stuff that you’ve been putting off. For instance, how cluttered is your house? If the answer is anywhere close to “a lot,” then it’s time to call in Junk King Chico. Clearing clutter isn’t just about throwing out junk mail and picking up clothing for laundry. Those task a very important but there might be a lot more that you can get rid of in order to make your home more inviting. You could have all kinds of unwanted furniture like old recliners, beanbag chairs, love seats or futons taking up space that can be put to better use. Those are perfect items to give to Junk King. There could also be a bunch of outdated computers, printers, monitors and televisions that are crammed into closets or under beds. You know they can be tossed into the trash and have to be recycled. This is something that Junk King Chico can handle. They don’t do the actual recycling but they make sure that these types of items are dropped off at the right facility. If you’re hosting a holiday party, then you definitely want to clear out space in the closet for people to hang their coats up. You might also be giving tours of your home to people have been over to visit yet. Everyone wants to check out the garage, right? Don’t be embarrassed by the rubbish you have stored out there. It can all be cleared away in a single session with Junk King Chico. Junk King understands how busy your schedule can be in the coming weeks. That’s why they will bend over backwards to accommodate your calendar. You pick the day and time that works best for your schedule and that’s when Junk King will show up. Get your holidays off to a great start with a home that’s free of junk all thanks to Junk King Chico. This entry was posted in Chico Junk Removal and tagged clutter, holiday, Junk King, junk removal on November 30, 2017 by Junk King. Last updated December 1, 2017 .